After trumpets of the apocalypse proclaim the fall of humanity, vampires arise from the shadows to rule the earth. 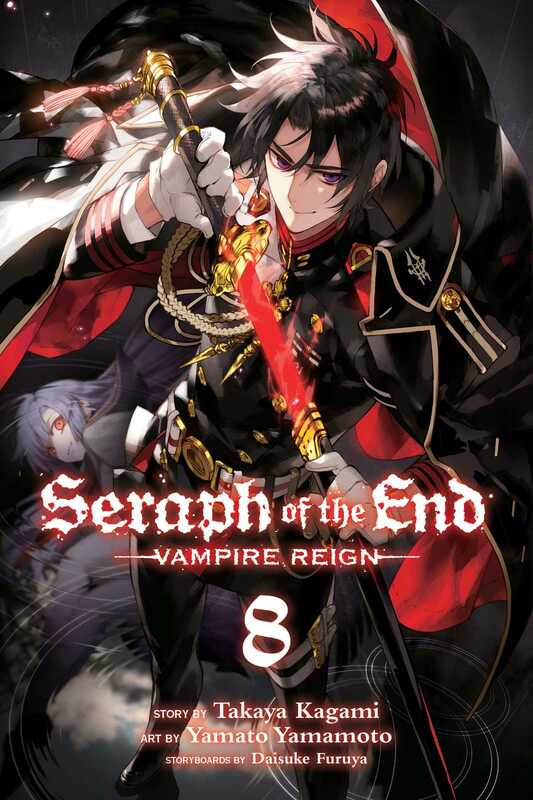 Yuichiro wants just one thing—to get revenge by killing each and every vampire. The attack on Nagoya begins! The Japanese Imperial Demon Army descends on the vampire nobles, aiming to exterminate them completely. Three squads are assigned to take down each of eight nobles. Because they are undermanned in comparison, Shinoa and Narumi squads will have to work together seamlessly to take down their one noble. But lurking amongst the nobles is Crowley Eusford, a formidable vampire eager to drink dry his would-be vanquishers.